Check out our current special offers and discounts for specific crewed yachts available for inclusive, crewed charter vacations in the Caribbean. Please scroll through to see more details about the individual yachts. Let us know if you have any questions or if you’d like to take advantage of a special offer. Note: Unless otherwise specified discounts can not be combined. Save $1,000 off the weekly rate aboard Mystic Soul cruising the Bahamas for available dates in May 2019. Save 10% off new reservations sailing aboard Siren Song now through 5 May 2019 sailing the Virgin Islands. 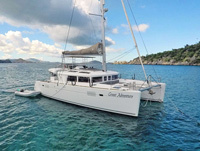 Aoibh is now available for $20,500 accommodating up to 8 guests, for any available dates May through 16 August 2019 sailing the Virgin Islands or the Caribbean Grenadines. 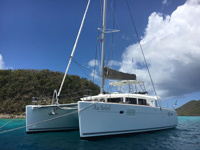 Santa Ana is offering 20% off new reservations for available dates sailing in June or July 2019 sailing the Virgin Islands. 5 night minimum, discount may not be combined with any other special. 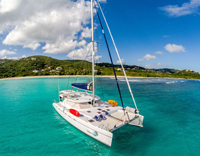 Save 5% off new reservations sailing the Virgin Island May 2019. 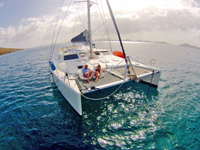 Save $650 off the 7 night charter rate for charters beginning and ending in the BVIs. Save 10% off new reservations sailing Belize aboard Dreaming On. Save 10% off the weekly rates plus one free scuba dive for certified divers or one free Discover Scuba dive. 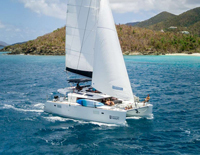 Ventana is offering a special low rate of $20,000 for up to 10 guests, 7 nights sailing the Virgin Islands for available dates through July 2019. Can be prorated to 6 nights. New reservations only. Can not be combined with other offers. Save $1,000 off weekly rate for up to 4 passengers, or $1,500 off weekly rate for 5 to 8 passengers sailing summer and fall 2019. 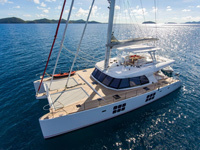 Save 10% off the listed rates OR take a free sleep aboard the night before your charter (boarding after 4pm, dinner ashore not included) plus each guest gets 2 painkillers and 1 T-shirt at the Soggy Dollar Bar JVD. Minimum 4 night charter. Save an amazing 25% off the regular rate for new reservations sailing the BVIs by 1 June 2018. Save 20% off the regular weekly rate through 4 April 2019 or 15% off 5 April 2019 through 15 November 2019. Applies to new reservations 6 nights or longer. 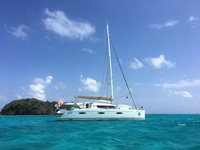 Foxy Lady will keep their calendar open for August 2019 sailing the Grenadines from Grenada with two crew and three dives included (max 2 dives in the Tobago Cays). Minimum charter 6 nights. Save 15% off the regular rate for new reservations taking place within 30 days of booking. 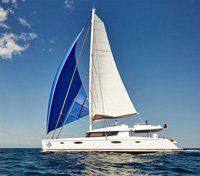 1 child under 6 years sails for free, new reservations only, 6 night minimum charter. Save $1,000 off new reservations aboard Oui Cherie with her talented crew. 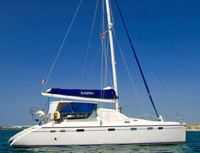 Discount can be prorated for 6 night charters, not to be combined with other offers. 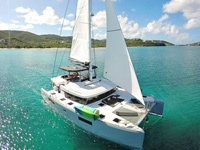 Save 10% off charters from St Martin OR waive the $5,000 delivery fee to the Virgin Islands. Save $1,000 off the weekly rate for new reservations sailing by the end of July 2019 in the Virgin Islands. $250 discount off the weekly charter rate per child 15 and under. Save $1,000 off the listed rates for new bookings occurring between 1 March, 2019, and 31 July, 2019. And for the same time period free Open water referral dive certification courses and free Discover Scuba Diving resort courses. Take $1,000 off the 7 night charter rate OR 2 kids 14 years and under (sharing a cabin) sail free when accompanied by 2 adults. Specials may not be combined. Charters must start and end in the BVI. Take 5% off standard rates for 7 night charters in January through April 2019! Receive $250 off per child aged 15 and under at the time of your charter. Save $250 per week off per child ages 10 and under at time of charter, 6 night minimum charter for this discount. $250 per week discount for each child age 15 and under. Age is based on the charter date. Save $250 off 7 night charters for kids 15 years and under at the time of sailing. Save $250 per child per week for 1 child 10yo and under at the time of sailing. Limit 1 per charter. 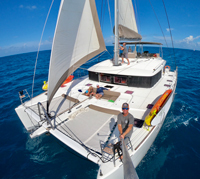 Save $250 per child off the 7 night charter rate for children 14 years and under at the time of sailing in the BVIs. Maximum child discount $750 for three or more kids.